SSL stands for secure sockets layer(SSL) and is a cryptographic protocol which means to allow secure communication under a given set of circumstances, or rules(protocol). This is a way of securing your website online to protect you from hackers and give more confidence to potential buyers. This is a small file that binds a secure key with your organisations details. 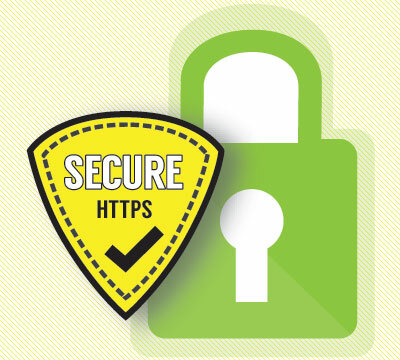 When this is installed on your web server it activates the green padlock and https protocol and allows secure connections from your internet browser to the server. There are 3 types of SSL certificates you can purchase. This gives you a step up in your credibility as it checks the right of the applicant to use the domain name, conducts some vetting of the organisation and shows your corporate identity. When clicking on the secure site padlock, this shows customers your site is operated by a legitimate company. This type of certificate is considerably more than the domain SSL. This is the highest class of SSL available. This activates a green address bar and displays the company name in the green bar. Both add more credibility to the website. This costs more than the above 2 certificates. This also does a full check on the rights of the applicant to use the domain name and conducts a full vetting of the company. Verifies the company to legally use this certificate and verifies the company matches records. SSL can benefit you in protecting credit card numbers and other sensitive information through your website. Standard HTTP is unsecured and can leave your credit card information and other secure information open for attackers to view and intercept your data. When using HTTPS through your browser, this protects you from hackers seeing and accessing sensitive information from your website as it ensures this data is encrypted through your browser. Commonly this applies to protecting credit card numbers and account logins. Google's search algorithm likes websites that are secured https websites. Google will give a small ranking boost for websites that are secured. As of this year it seems Google won't be increasing the weight of this factor anymore. There seems to be very little correlation between encrypted websites and pages being ranked higher. Even so there are many reasons why SSL is a good move. If you don't want to implement SSL just yet, if for just customers seeing the padlock in top left-hand corner, the confidence is reason enough to implement this. Ecommerce websites will use a secure payment method, which could be used through a third party, giving security with card payments, but even so a SSL should be on your site to show its protected and therefore if you are taking customer cards on the site, you'll be protected. You can identify your website is secured by a green padlock as shown on the below image. If unsecured the padlock would not be closed or green. Why not sign up to our services, or choose us to host your website and receive a FREE domain SSL. Visit Eadetech Web Design today.